You've lost your way in the vastness of Arnor. You must search around until you find your trail again. 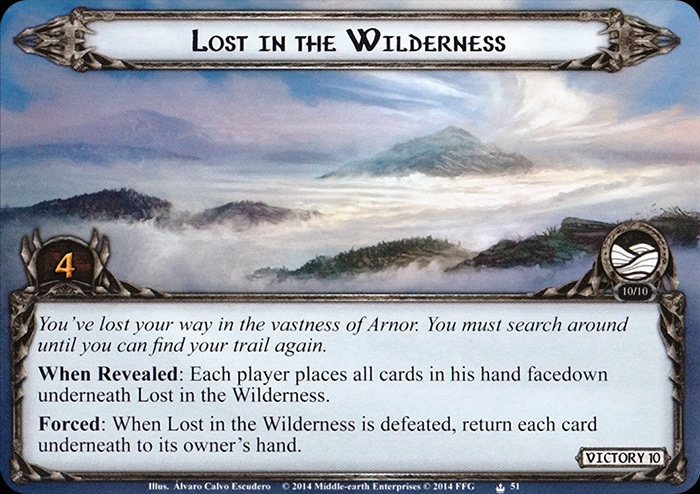 When Revealed: Each player places all cards in his hand facedown underneath Lost in the Wilderness. Forced: When Lost in the Wilderness is defeated, return each card underneath it to its owner's hand.